In our digital world, many bands are finding themselves thinking about how to utilize technology to make their band more efficient as well as to save money. Last year we introduced you to Tonal Innovation, a start-up that formed out of the LSU Tiger Band. 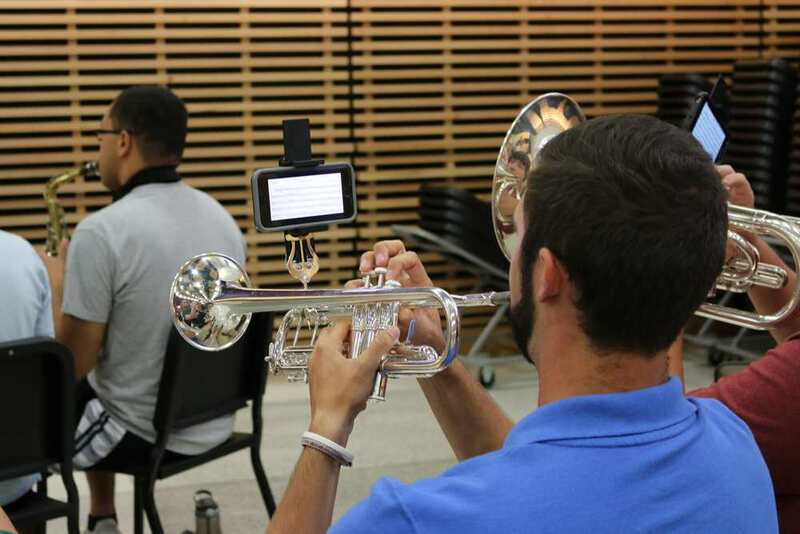 Led by Tiger Band alums Garret Kessling and Daniel Wendt, Tonal Innovation is helping bands go paperless which has had a major impact on programs across the country. Tonal Innovation introduced the band world to the eflip in 2016. The eflip is a specially designed lyre that holds a phone or tablet so that a member can read his or her music off of their phone instead of using a flip folder. "The response to eFlip has been great. We started selling eFlip in the summer of 2016 and had two major programs adopt - the University of Illinois and Louisiana State University." said Kessling. "The programs found much success with eFlip, and in going paperless in general. 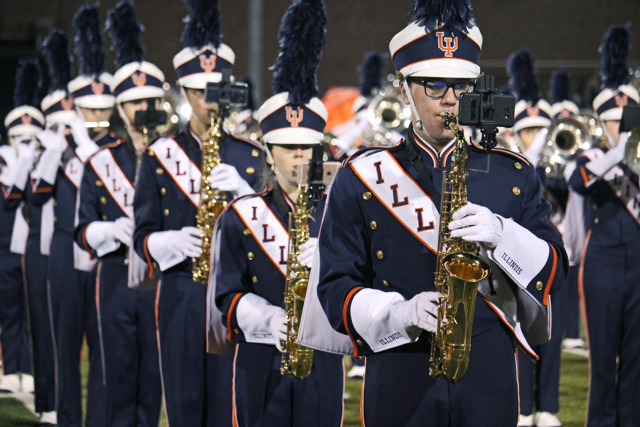 This season, we have received a number of inquiries from bands across the country, both high schools and colleges, regarding going paperless with their marching bands, pepbands, and even concert ensembles. For the 2017 season, we are adding over 10 marching band programs that will be using our products to go paperless." Reason 1 - Cost - unless a band program is blessed with major support from boosters and the school, cost is a factor in every decision a band director makes. Paper, ink, printers, flip-folders, flip pages, rings, etc. individually don't cost a lot, but when you add them up over the course of a season for a band program it can get very expensive - and for what? Bands don't reuse these pages from year to year, and next season they will go through the same process of printing, cutting, and distributing it all over again. Why not switch the something that is sustainable and eliminates a significant majority of that cost? Reason 2 - Hassle - printers get jammed, malfunction, are slow at large print jobs, and are a pain to work with for anything more than a simple print job. Band directors aren't going to do this and often times it gets pawned off on an office manager or a student worker, both of whom could be doing something more useful with their time. When you go paperless, you scan and upload once. Reason 3 - Durability - flip-folders are not waterproof, windproof, nor are they tear resistant. Printing music once for a band is expensive enough, but reprinting due to weather or misuse compounds the issue. Smart devices can be protected and, with the right software, can make the device just as useful as paper. What is your advice for actually going paperless? 1) Understand copyright laws - the same laws that apply to paper apply to digital. 2) What devices will students use? Will you follow at BYOD (bring your own device) model or is the band looking at buying small tablets for everyone? Understand the costs and benefits of each. 3) Library organization - there should be two libraries you have. One that is organized like a traditional library (by song title with all the different instrument parts in the song folder) and one that is organized by section/part that you actually share with your band. 4) Have a plan for when things go wrong - it is very rare, but sometimes major corporations face server issues and outages. They can last for 30 seconds or a few hours. If you don't have a plan for when things go wrong, you're going to be in a bad position when they do. This year Tonal Innovation took their efforts to the next level. "As we were marketing eFlip to bands, one of the biggest pieces of feedback we have received is that directors wanted their own app - so that's what we created for them," said Wendt. Introducing UNISON. 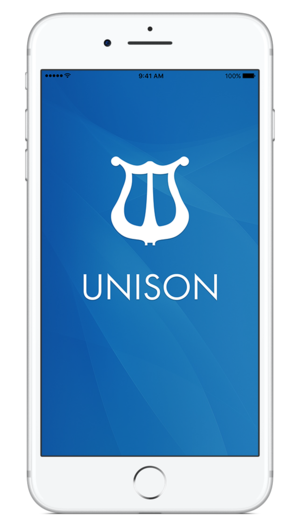 The first major app produced by Tonal Innovation that allows band directors to share music with their members and for members to interact with it like they would paper. "We want directors to have all the features they would expect from a file management system, but with the end user (the students) having the same abilities they have on paper. UNISON does that and more," said Wendt. "For the director, it is a simple and easy to use file management and sharing system that helps them keep compliant with copyright guidelines. For the end user, it works exactly like one would expect, with the ability to add annotations (ink and text comments) to the files shared with you." 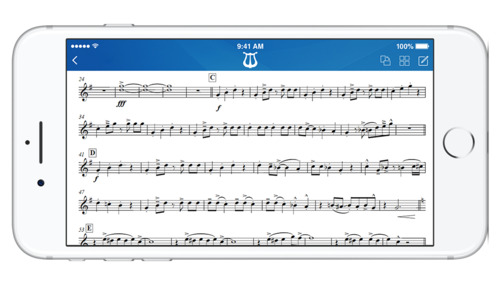 "Paperless is the future of marching bands, pep-bands, and concert ensembles and everything we do at Tonal Innovation is working toward that future," said Wendt. For more information on how to take your band paperless head over to TonalInnovation.com. And because we love our followers, if you use the code "MARCHINGBAND" at checkout while purchasing an eflip or set of eflips for your band we are giving you $5 off each one!! Get your order in now before the season starts.